The thesis aims to study marriage dispensations from the diocese of Florence in the later Middle Ages with a twofold approach of legal and social history. The time of investigation is determined by the status of the transmission of the registers in the Apostolic Penitentiary, where most of the dispensations have been granted. 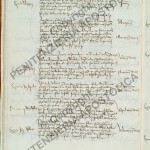 The area of investigation is chosen due to the rich transmission of the Florentine archives as well as the richness of its historiography, especially in terms of prosopography and social history. This makes the Florentine petitioners anything but an anonymous mass. Classical legal, social and narrative sources that evolved around the procedure of requesting a papal grace to marry against a legal impediment can be combined in order to raise questions regarding both the legal procedure and its function and its social settlement as well as its interpretation and use by the actors themselves. Though the history of medieval marriage and family has perhaps nowhere been as fruitful as it has been in Florence, the documents that arose from dispensation trials have never been studied systematically. A crucial aspect of this study is therefore the edition of a group of source corpora and their systematical interference with informative tools. 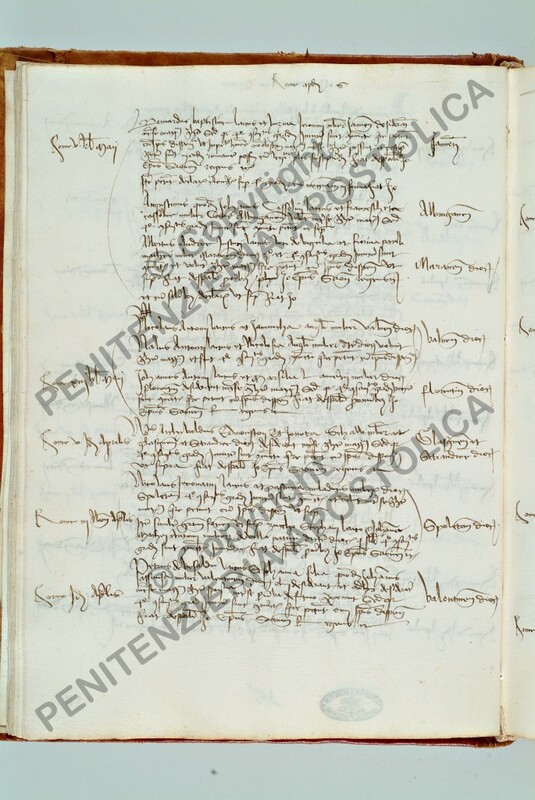 The first corpus consists of full transcriptions of the entries in the registers of the Apostolic Penitentiary. These are abbreviated copies of the letters of grace that have been sent to the local judge who was in charge of investigating the supplications veracity. The second corpus includes the same kind of sources from the second papal office dealing with marriage dispensations, the chancery. The third are the composition fees that have been payed by some of the petitioners. Unfortunately, those are only preserved for a couple years. 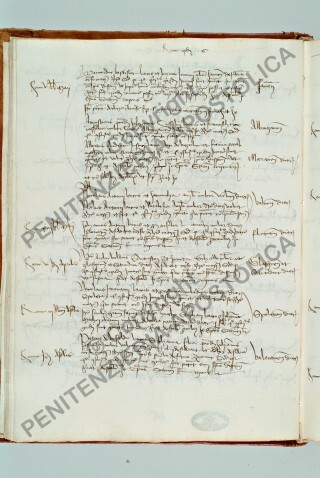 The fourth and last corpus contains descriptions of the local investigations of the cases in Florentine notary instruments. Crossing the sources and social (name, residence, social status etc. ), procedural (date and place of approval, chosen delegated judge etc.) and casuistic (type and degree of the impediment, request before or after the marriage, knowledge or ignorance of the impediment, etc.) categories is achieved by a database in which all this information from the four source corpora are inserted. Besides the macro analysis, a close look is taken especially to the most detailed source type, the notary registers. Questions to be raised here are: How is kinship legally represented in the trial records? How do those records respond to the procedural rules laid down in canonical compilations, comments and treatises? Do habits or procedures of dispensation differ along social lines? What does the materiality of the documentation, source typologies and their preservation, tell us about the legal practice? Pursuing those and further questions, in the systematical interference of the diverse documents evolving from the legal procedure made available by text edition, is the thesis’ major task.